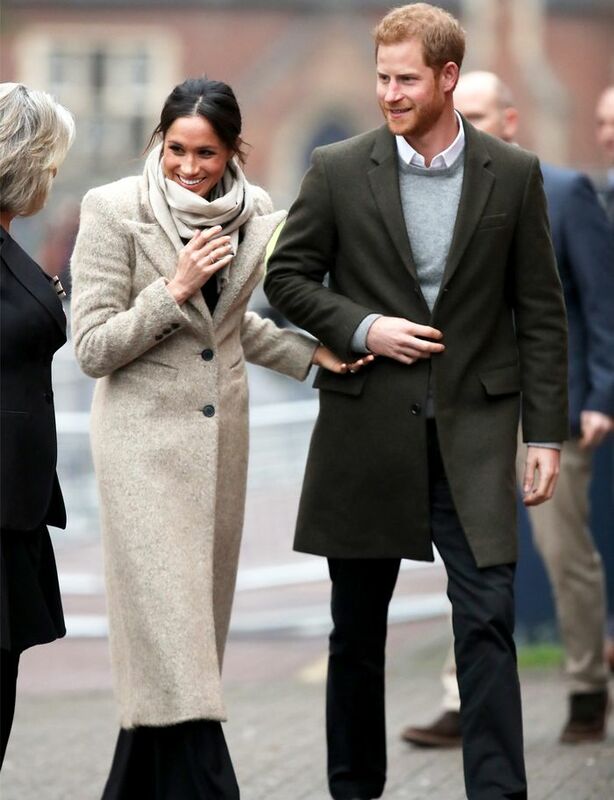 Some have been claiming that Meghan Markle's accent has been anglicised during her time in the UK, however, regardless of how she now says "tomato" and "vitamin," her wardrobe has certainly become more British. Case in point? That Marks and Spencer jumper. The Duchess might wear Givenchy Haute Couture and £56,00 evening gowns (as seen in her engagement photos), but she also has been acquainting herself with the Great British high street. Back in January, she wore a £45 black jumper with bell sleeves from M&S, causing it to almost instantly sell out. The jumper was re-stocked in the spring but still remains unavailable to buy. However, we have spotted an almost identical balloon sleeve slack neck jumper for £20 in the sale in a bold sunny yellow, making it the perfect summer knit. Meghan Markle in Brixton when she wore the M&S jumper. We're considering starting a petition to get M&S to bring the black jumper back in time for when the weather turns. Keep scrolling to shop more Meghan-worthy jumpers in M&S right now. Meghan is a fan of sunny yellows. This preppy top would look perfect with black cigarette trousers. This comes in plenty of colours. To make it look more elegant, style with a cream blazer. Next, see how to look as polished as Meghan Markle.